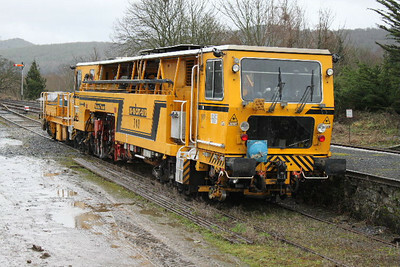 700 - Plasser & Theurer EM50 Recording Car. 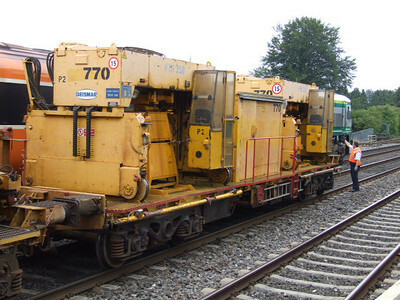 703 - Plasser & Theurer USB4000 Regulator at Kildare on 17.11.07. 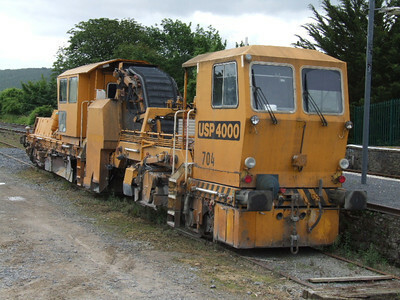 704 - Plasser & Theurer USB4000 Regulator at Carrick-on-Suir on 28.06.08. 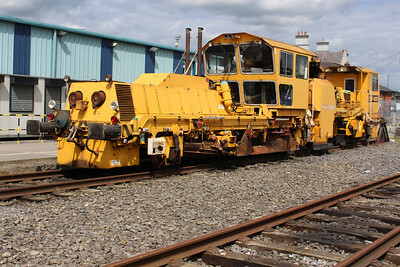 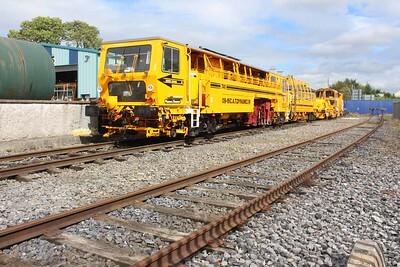 703 - Plasser & Theurer USB4000 Regulator at Tullamore on 18.07.15. 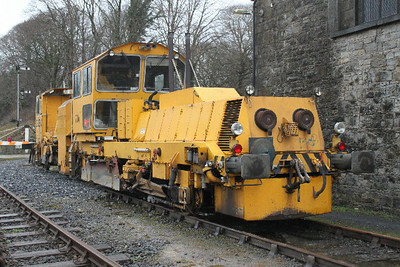 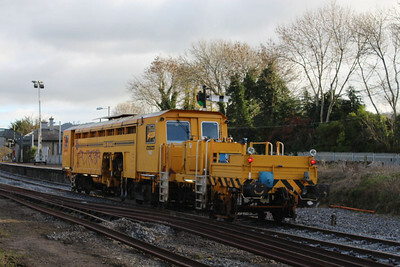 704 - Plasser & Theurer USB4000 Regulator at Carrick-on-Suir on 05.02.11. 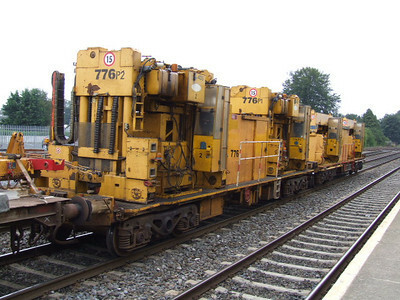 PLASSER & THEURER USB4000 REGULATOR - 704. 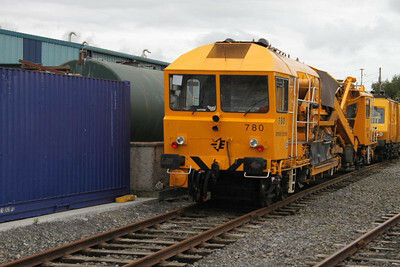 704 at Kildare on 23.07.15. 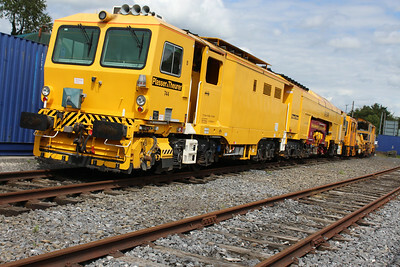 710 - Plasser & Theurer DTS 62N - at Kildare on 23.07.11. 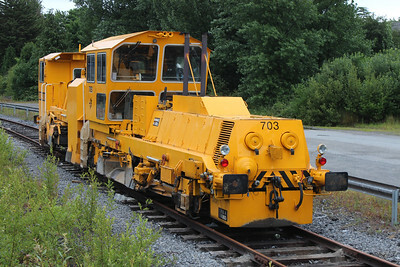 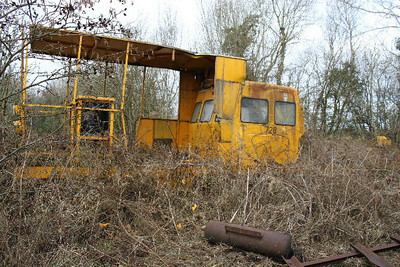 720 Sandite Machine on 06.03.10. at Dromod. 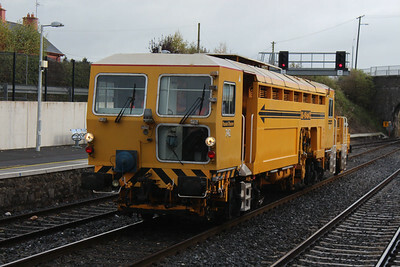 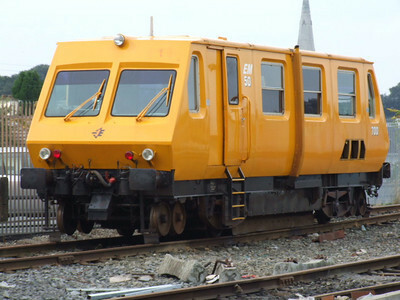 721 - Hugh Phillips Inspection Car at Connolly on 03.03.12. 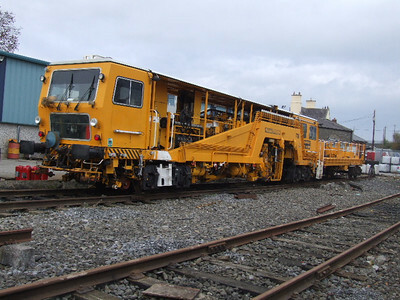 739 - Plasser & Theurer 08-16 Tamper - at Kildare on 06.11.08. 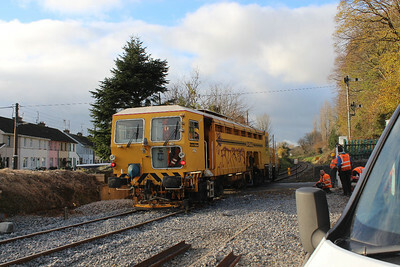 740 - Plasser & Theurer 09-16CAT-5/IR at Carrick-on-Suir on 05.02.11. 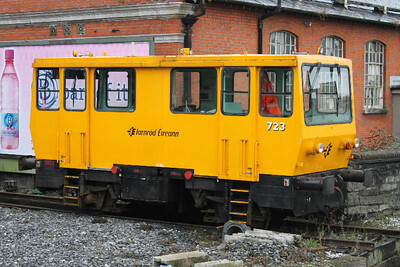 741 at Kildare on 08.09.16. 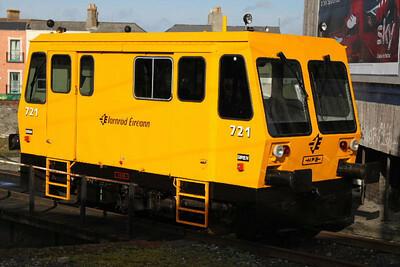 742 at Carrick-on-Suir on 30.11.13. 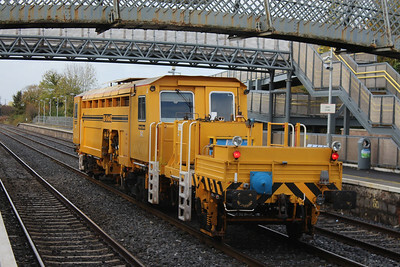 742 - Plasser & Theurer 08-16/4X4C passing through Kildare on 21.10.14. 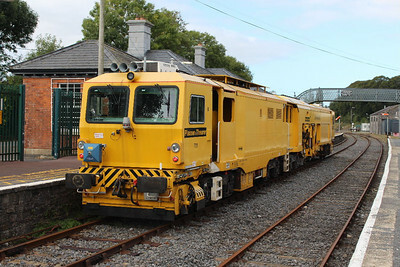 744 at Kildare on 23.07.15. 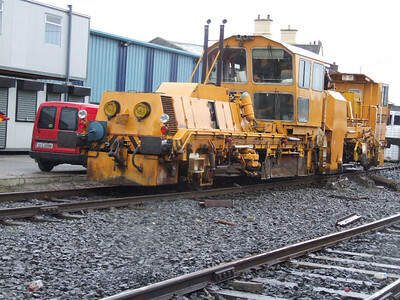 751 - Plasser & THeurer 08 - 4x4/4S - IR at Carrick-on-Suir on 11.10.13. 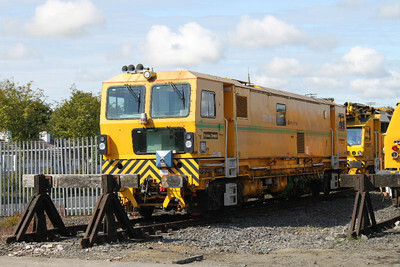 776 -Geismar PTH500 Relaying Gantries - at Kildare on 09.09.06. 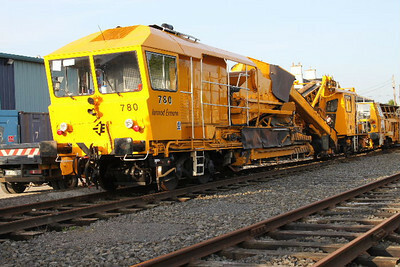 780 - Plasser & Theurer RM76UHR Ballast Cleaner at Kildare oin 27.04.11. 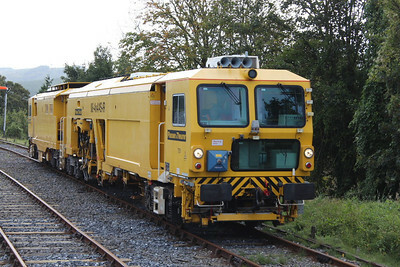 780 - Plasser & Theurer RM76UHR Ballast Cleaner at Kildare on 03.09.11.